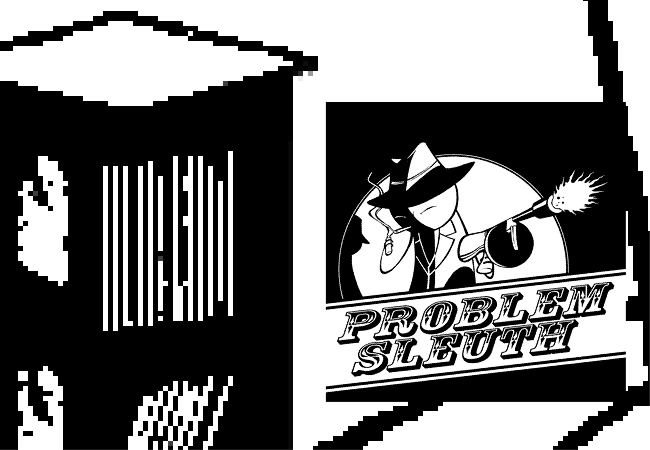 Storyboard - 00031.swf - John: Examine games on CD rack. 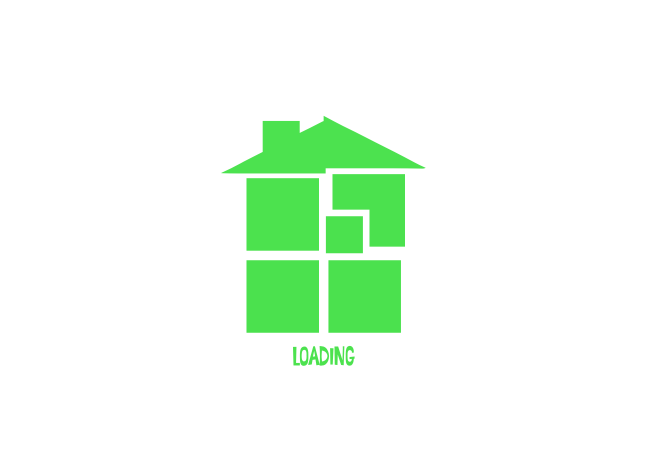 This is a readmspa.org storyboard for 00031.swf, as featured on Homestuck page 001931: John: Examine games on CD rack..
Green Sburb Beta house logo loading screen. 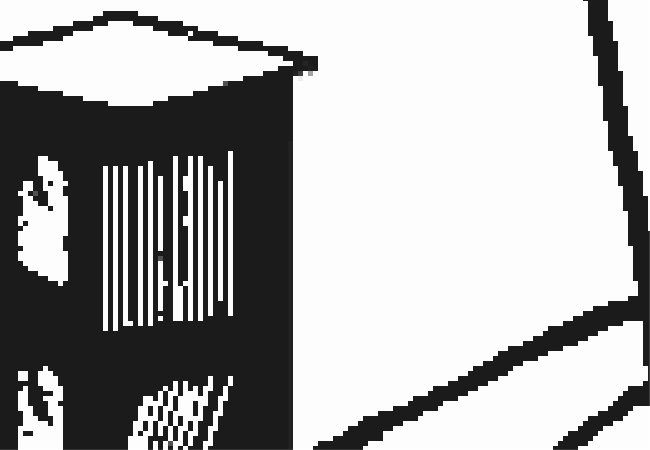 a pixellated black and white CD tower. 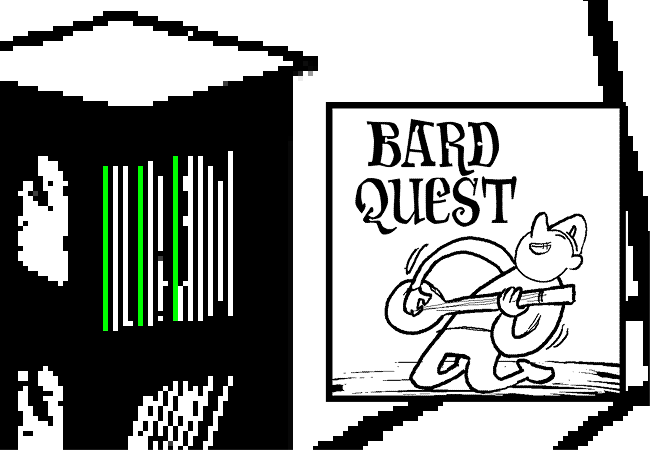 The spines of some of the CDs on the top shelf glow green. 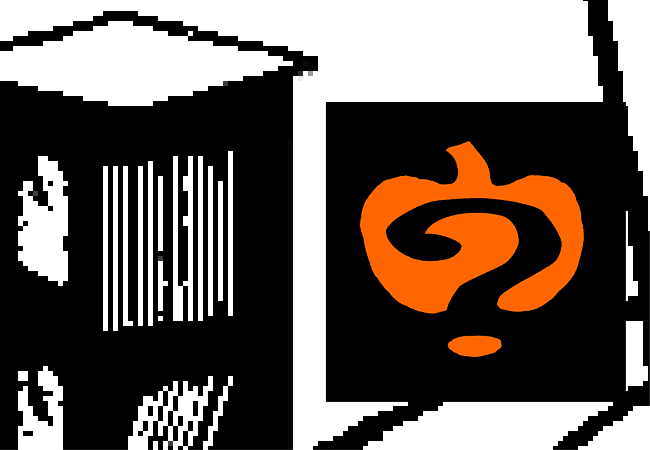 This is an interactive Flash: hovering over some of the twelve CD spines will show their covers. 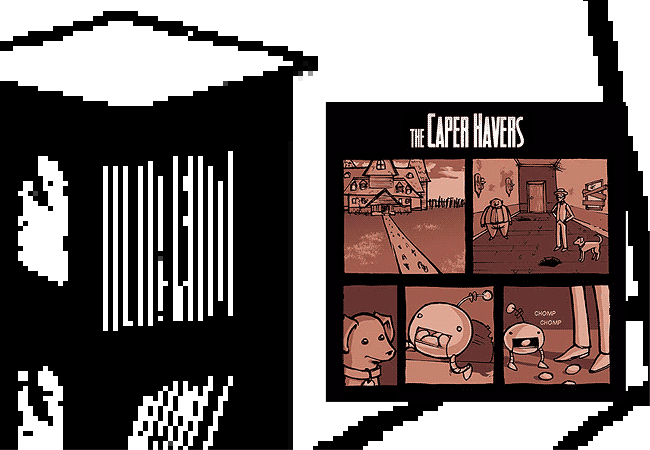 CD 2 of 12 — The Caper Havers , with a five panel comic showing the exterior of a mansion, an interior hallway, a dog, and a disembodied robot head with legs and an antenna chomping on potatos. 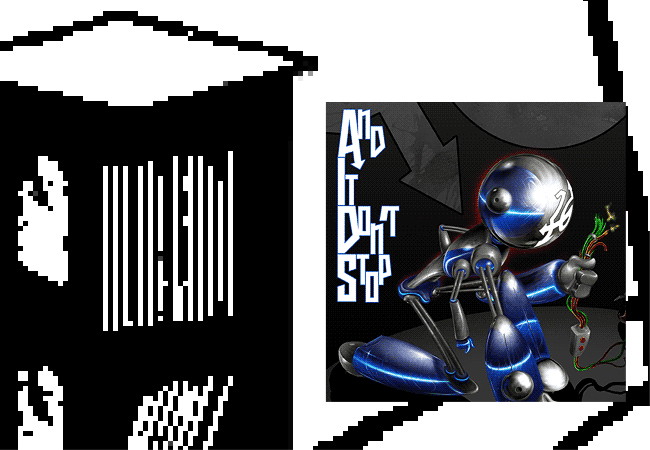 CD 5 of 12 — And It Don't Stop , showing shiny Crush Groove messing with some wiring and circuitry. 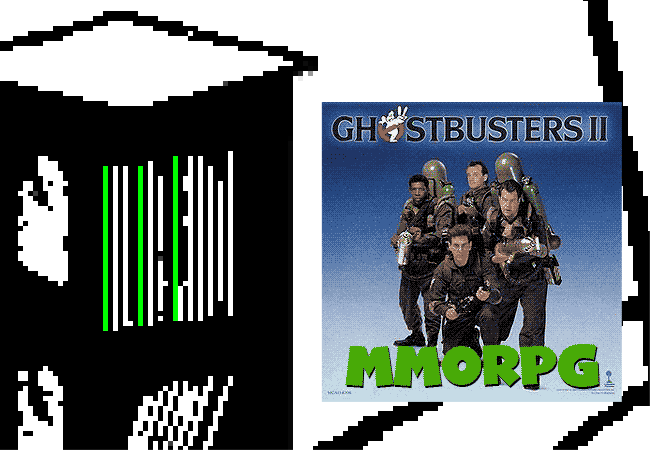 CD 9 of 12 — Ghostbusters II MMORPG , showing the Zeddermore / Venkman / Stantz / Spengler quartet posing as a team. 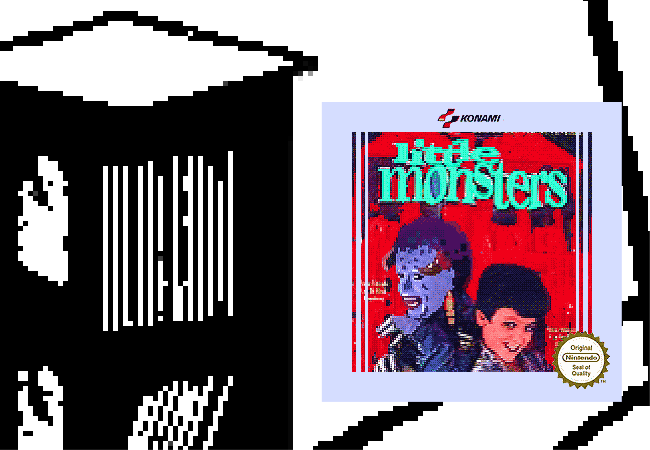 CD 10 of 12 — Little Monsters video game, showing the alarming Maurice and Brian duo in equally alarming colors. 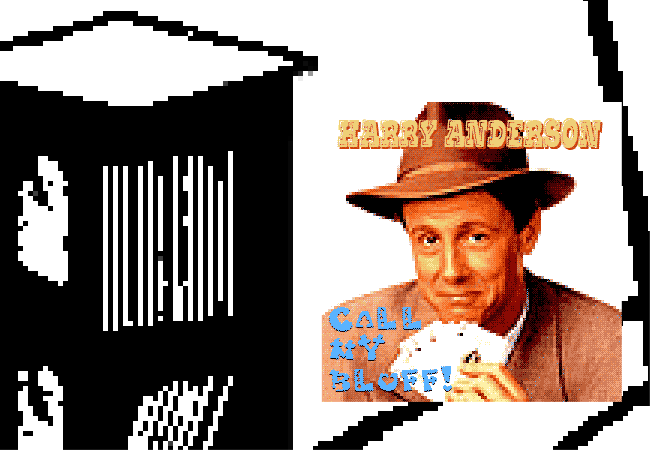 CD 12 of 12 — Harry Anderson: Call My Bluff , showing the hustler magician revealing his winning hand.